As tourism can and should play a significant role in the overall process of reaching sustainable development, it must be ecologically bearable in the long-term, economically viable as well as ethically and socially equitable for the local communities. They are a tool for promoting sustainable tourism at the transnational level and ensuring that common measures are taken accross borders, by being developed and implemented involving all relevant stakeholders. They are specific to the site and define clear objectives to be achieved. Such management plans should evaluate and consider various tourism development options, before establish mechanisms for monitoring and reviewing the progress in implementing the plan. Tourism is one of the world’s largest industries and one of its fastest growing economic sectors. It has a multitude of impacts, both positive and negative, on people’s lives and on the environment. There are several places in the Carpathians having well equipped and relatively easy accessible recreation and seasonal sport facilities. The Carpathians are also rich in medicinal mineral water sources and spas. Tourism is one of the most dynamically developing branches of the economy in the Carpathians that could be developed further in a more sustainable way. Moreover, this area benefits from a great potential of traditional professions, local SMEs and sustainable industries, relevant for a diversified mountain economy and its endogenous development. Article 9 of the Carpathian Convention asks parties to further investigate on a sustainable tourism, which must be ecologically bearable in the long term, economically viable, as well as ethically and socially equitable for the local communities. 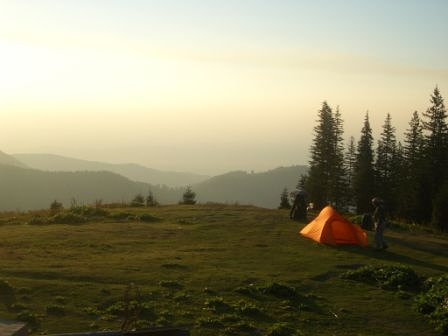 According to the provisions of the Strategy for the Sustainable Tourism Development of the Carpathians and following an exhaustive consultation process, the Carpathian Sustainable Tourism Platform has been initiated by signing an agreement which reflects support of Ukraine and Romania for closer and more coordinated cooperation on implementation of the Protocol on Sustainable Tourism to the Carpathian Convention. The Agreement have been preceded by a Joint proposal of the Carpathian Sustainable Tourism Platform.